JAMU Traditional Spa at AlamKulKul Boutique Resorts Bali is set within a beautiful facility with the Balinese Village theme of the resort. 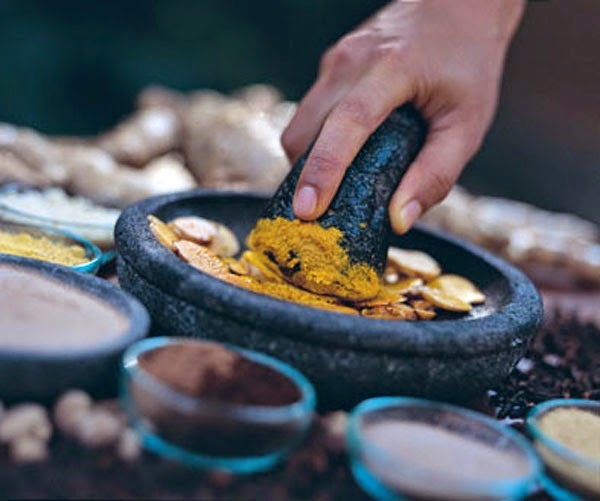 At Jamu Spas, we offer authentic health and beauty treatments from the islands of Bali and Java, using only the finest ingredients freshly-prepared according to the age-old tradition of Jamu. 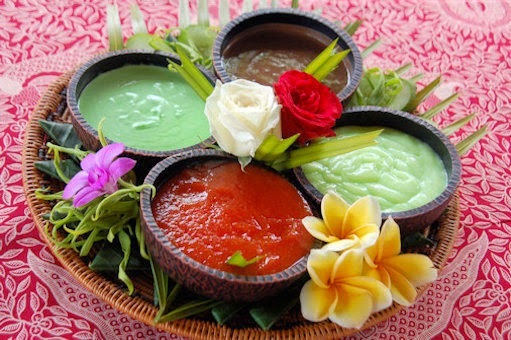 Jamu Traditional Spa’s beautifying and healing treatments are renowned for their authentic nature. Based on century-old recipes handed down from mother to daughter over generations, these recipes are now available to you at JAMU. Intimate and cozy, infusing elements of the natural environment, JAMU’s spas create healing sanctuaries for body, mind and spirit. 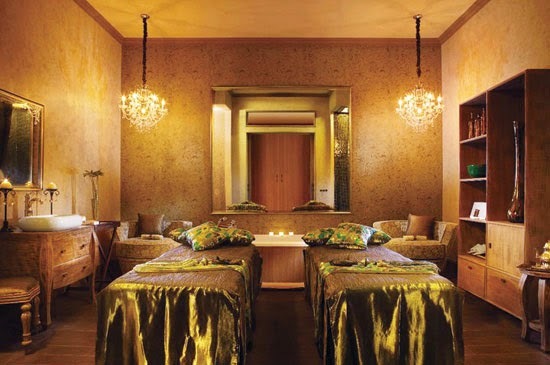 Soft music and soothing aromas greet guests as they succumb to the caring hands of the JAMU therapists. Used the volcanic stone rich of mineral come from volcano Mt Agung 3.142m last erupted in 1963, enjoy our new technic massage combine with essential oil. stone massage can be extremely effective in relaxing both body and mind, flushed away irritating toxins, release the tension and pain. Experience the unique and natural technique to remove excess wax and debris from the inner ears. Made of 100% unbleached cotton muslin fabric and a special wax blend, the ear candle a slight vacuum effect while oxidizing and vaporizing the earwax. It is a safe, relaxing and non-invasive process to relieve pressure in the ear canal. Work wonders for sinus, insomnia, headache, sore throat, stress and relaxing. Due to Bali's constant sunlight and volcanic soil which is rich in minerals, local fruits and vegetables have very high mineral and vitamin contents. This greatly improves the removal of toxins from the skin and reduces the time taken for your skin to rejuvenate and recover it's healthy, natural glow. We make our massage oils from freshly pressed coconut oil and other natural vegetable sources and the highest quality aromatherapy oils made from local flowers and plants. 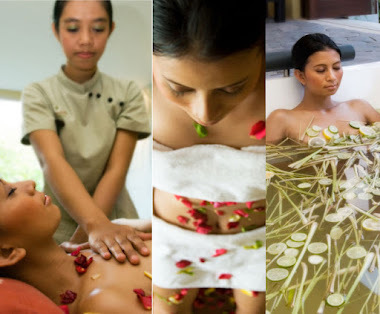 UBUD SARI is a health resort where people enhance their physical, emotional and spiritual life through the resources and skills of a highly trained staff in a quiet, beautiful and peaceful setting, health and well-being are our ongoing goals. In pursuit of these goals, we take a wholistic approach towards integrating and promoting each of the following vital components in the lives of our guests. By providing appropriate holistic health care and stress reducing activities in such a healthful and spiritual setting we make available to you the finest opportunity to achieve your full potential. Bali Green Spa only uses organically grown natural ingredients that we buy early, every day from local farmers so they have the optimum amount of active vitamins and minerals. This ensures you will gain the MAXIMUM benefit from any treatment(s) taken with us. 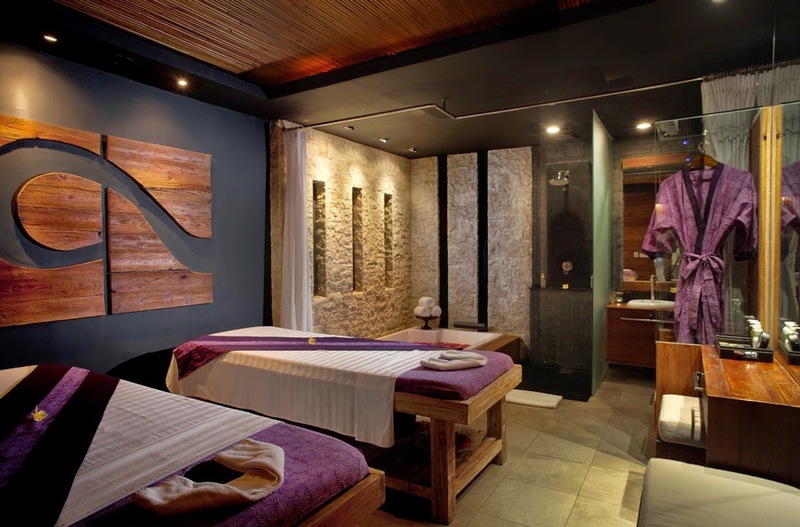 Bali Essence Spa is a day spa that offers massages and treatments in a serene and comfort surrounding. 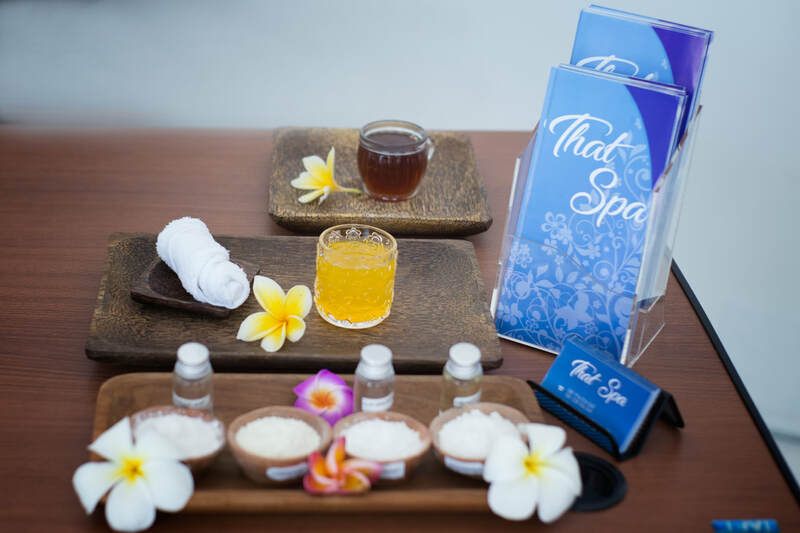 A wide range of spa treatment packages especially designed using only natural and fresh ingredients with the touch from well trained therapists to ensure your spe experience is a total satisfaction. 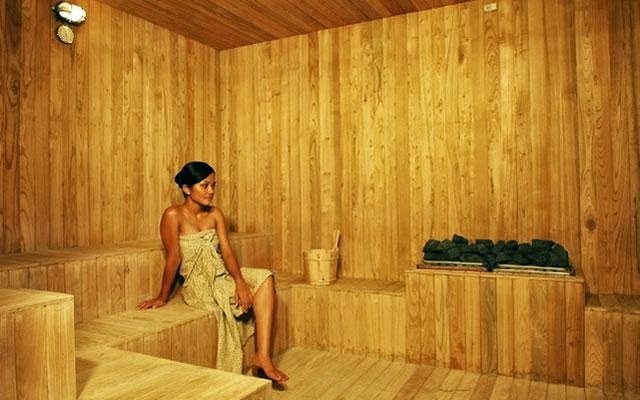 Seaweed Spa is treatment that is good for skin revitalizing, anti aging, and toning. The high mineral and trace element content will stimulate your metabolism and will help to reduce water retention. 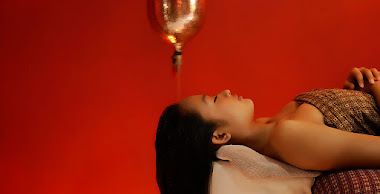 An exhaustive resource of spa treatments. 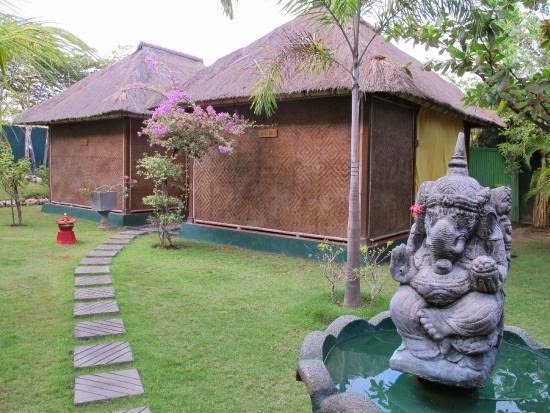 Bali Essence offers ambient surroundings including exotic scents and soft Balinese music welcoming you to relax and escape from your daily stresses and experience the culture. All treatments begin with a ritual of foot cleansing, and range from Body Scrubs and Massages to Cream Hair Masks, Facials, Waxing, Ear Candling and Eyelash Extensions. Gift Certificates are also available for any treatment and there are set packages for an extra special experience perfect for a day of indulgence or Christmas gift. 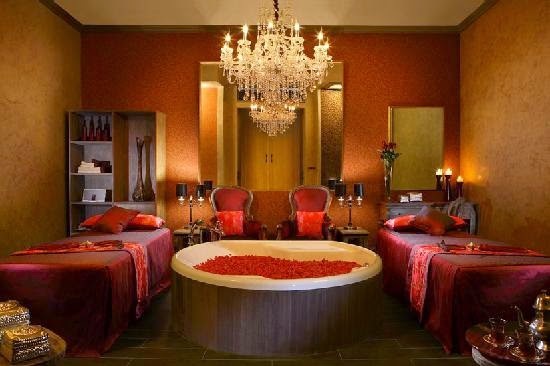 Savor a couple romantic treatments. Indulge the sensation of beauty ritual. with natural green tea scrub and aromatic clay, honey body mask to enlighten and calm your body and mind. The leaf is a symbol of the eternal cycle of life and man’s quest for vitality. A leaf is a source o f nutrition, provides shelter and has extraordinary nurturing qualities. DaLa Spa has been designed as an opulent wellness facility where personal indulgence takes on a whole new meaning. A choice of 7 treatment rooms is available, each one named after an exotic flower and taking on a different interior theme, colour and ambience. By setting a mood through the use of lighting and essential oils, DaLa Spa prepares clients for a personalized experience that evokes the senses. In addition, DaLa Spa caters exclusively to the beauty and relaxation needs of couples, especially honeymooners celebrating the spirit of love as they prepare to embark on a journey through life together. A choice of 7 treatment rooms is available, each one named after an exotic flower and taking on a different interior theme, colour and ambience. By setting a mood through the use of lighting and essential DaLa Spa has been designed as an opulent wellness facility where personal indulgence takes on a whole new meaning.